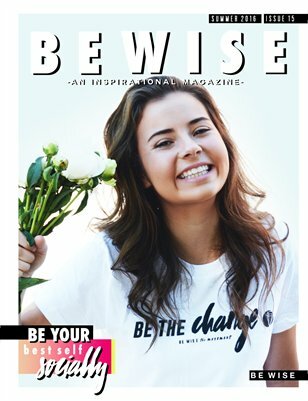 This issue of BE WISE is the third of our "Be Your Best Self" issues. The theme for this issue is be your best self SOCIALLY. You will also have FREE access to our 2-week challenge "What Is YOUR Purpose", discount promos from incredible companies, and tons of inspiration from our outstanding contributors, all found inside the magazine.